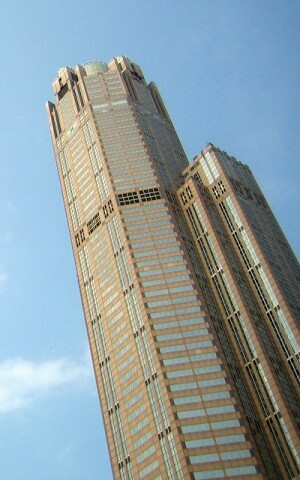 311 South Wacker Drive in Chicago, USA, is a post-modern 65-story skyscraper completed in 1990. At 961 feet (293 m) tall, it is the sixth tallest building in Chicago and the 15th tallest in the United States. It was once the second tallest reinforced concrete building in the world (after Two Prudential Plaza, also in Chicago).The building is also the tallest building in the world known by its street address. The lower level of the winter garden was designed to connect via underground passageway to Union Station. The building also contains three levels of underground parking. The building contains both retail and commercial tenants. The lobby is an impressive two-level (one below ground) 85-foot (26 m)-tall glass-ceilinged "winter garden" with palm trees and a fountain. The Winter Garden was influenced by the adjacent steel structures of Chicago’s "L" tracks and Bridges. 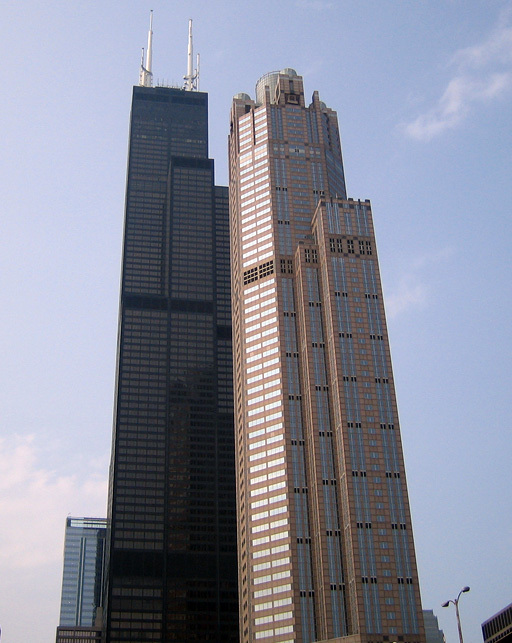 It was envisioned as a commuter link or "pedestrian station" serving as a connection from the adjacent Train Station through the existing service tunnels under the Chicago River leading to the Willis Tower (Sears Tower) from a series of underground spaces and passages. The garden was added in 2002.